[S162] 1860 U.S. Census, 700 Pennsylvania Ave., NW, Washington, District of Columbia, USA, Year: 1860; Census Place: Greenville, Darke, Ohio; Roll: M653_956; Page: 267. [S163] 1870 U.S. Census, 700 Pennsylvania Ave., NW, Washington, District of Columbia, USA, Darke County, Town of Greenville. [S169] 1900 U.S. Census, 700 Pennsylvania Ave., NW, Washington, District of Columbia, USA, Falls City, Richardson, Nebraska; Roll: 938; Page: 10B; Enumeration District: 0139; FHL microfilm: 1240938. [S176] Certificate, Toland-Fry marriage of 11 aug 1908. [S174] Certificate, Tolland-Hayes marriage of 23 Jan 1882. [S177] Certificate, Toland-Lafever marriage of 3 oct 1971. James Brady Hawkins was born on 20 June 1890 at Stafford, Monroe, Ohio, USA. He married Ora Ellen Denbow, daughter of Thomas Denbow and Rosa A. Love, on 10 January 1914. Raymond Clarence Metz was born on 13 June 1894 at Lewisville, Monroe, Ohio, USA. He married Essie Denbow, daughter of Thomas Denbow and Rosa A. Love, on 29 December 1913 at Monroe, Ohio, USA. Raymond Clarence Metz died on 19 August 1962 at Clarksburg, Harrison, West Virginia, USA, at age 68. William O. Clay was born in 1868 at Pennsylvania. He married Essie Denbow, daughter of Thomas Denbow and Rosa A. Love. 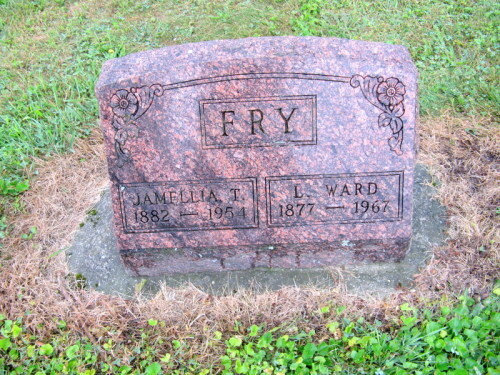 William O. Clay died at Oklahoma. Russell was born on February 11, 1935 and passed away on Friday, July 23, 2010. Russell was a resident of Saint Cloud, Minnesota at the time of his passing. He graduated from Bemidji High School in 1953 and from Bemidji State College in 1957. 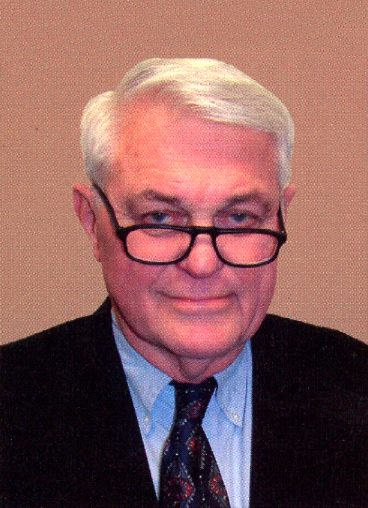 Russell earned a master's degree in chemistry from North Dakota State University in 1959 and a Ph.D. degree in chemistry from Louisiana State University in 1968. He is survived by his wife Betty. Funeral services celebrating his life will be Tuesday, July 27, 2010 at 11:00 AM at Calvary Community Church, 1200 Roosevelt Rd., St. Cloud. Visitation will be Monday, July 26, 2010 from 4:00 to 7:00 PM at Calvary Community Church and one hour prior to the service on Tuesday at the church. Burial will be in North Star Cemetery, St. Cloud.